If you’re looking for the perfect cheesy, comforting meal to come home to on a cold night, you’ve found it. This smothered cheesy sour cream chicken is just the kind of thing you need on a winter’s weeknight — namely because it’s easy to make, oh-so-tender and — did we mention — loaded with cheese? Over at A Dish of Daily Life, food blogger Michelle lays out the steps for making a dish that tastes great fresh out of the oven — and then again, later on, as leftovers. To make it, you need chicken breasts, mozzarella, sour cream and parmesan. The recipe also calls for spices such as basil, oregano and parsley for a bonus bit of flavor. 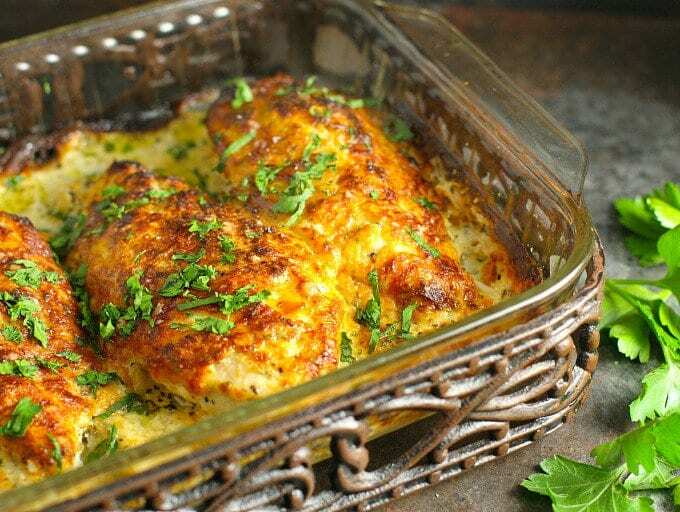 To assemble the dish, all you have to do is place the chicken and mozzarella in a baking dish, combine the sour cream, parmesan and a few other ingredients in a separate bowl and then smother the chicken in the paste you’ve created. Top it all with extra cheese and bake it up! You can then pair it with rice, serve it with a salad or eat it on a bed of noodles. The good news is — there’s really no wrong way to serve this up as an entree! 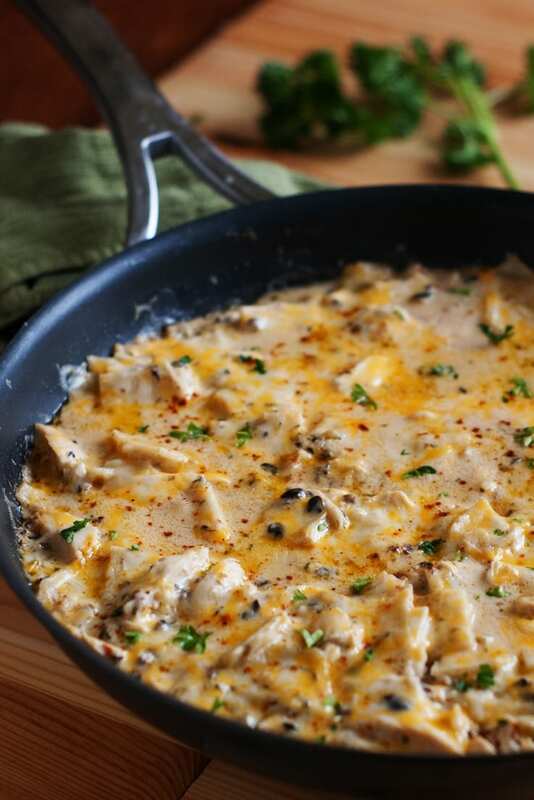 Meanwhile, this melty sour cream chicken enchilada dish from Heather Likes Food is perfect for taco night, but is still creamy and comforting. It just has an added bit of spice and Mexican flair. You start by cooking chicken in a mixture of black olives, green chilis and chicken broth. Once the chicken is cooked through, shred it. Add flour, cut-up tortilla pieces, sour cream and cheese to the skillet and cook it all together. Return the chicken to the skillet and voila! In the end, you’ll have the ultimate creamy, spicy dinner that’s ready to be eaten all on its own, served on top of a salad, poured on top of a chile relleno or even added to noodles to create a Mexican-inspired mac ‘n cheese. 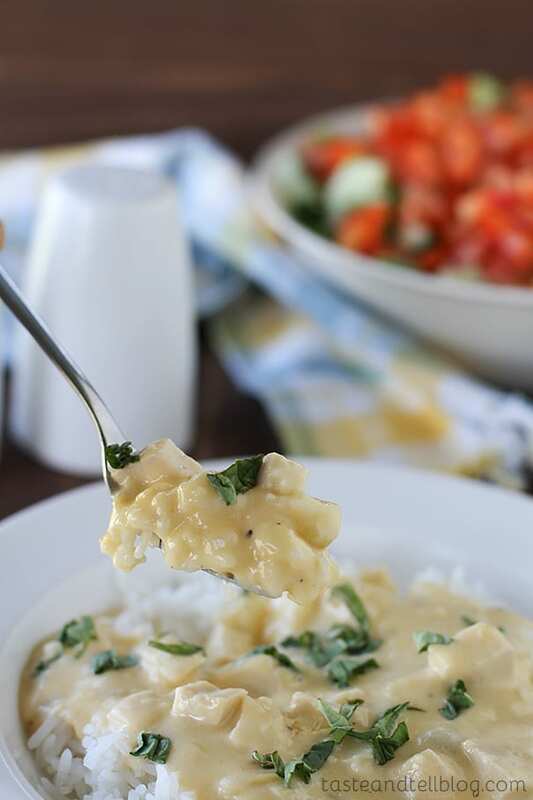 Who else is having a version of sour cream cheesy chicken for dinner tonight?